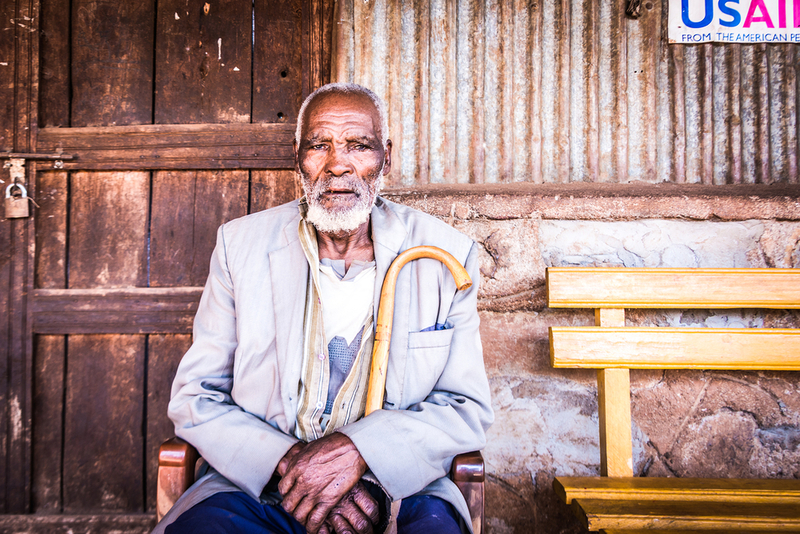 Tegeno Tiba, 86, spent his whole life in West Guji, until nine months ago when he was displaced to Chelelektu in Gedeo. He now lives in an orphanage and survives on food aid. He has not returned home since. 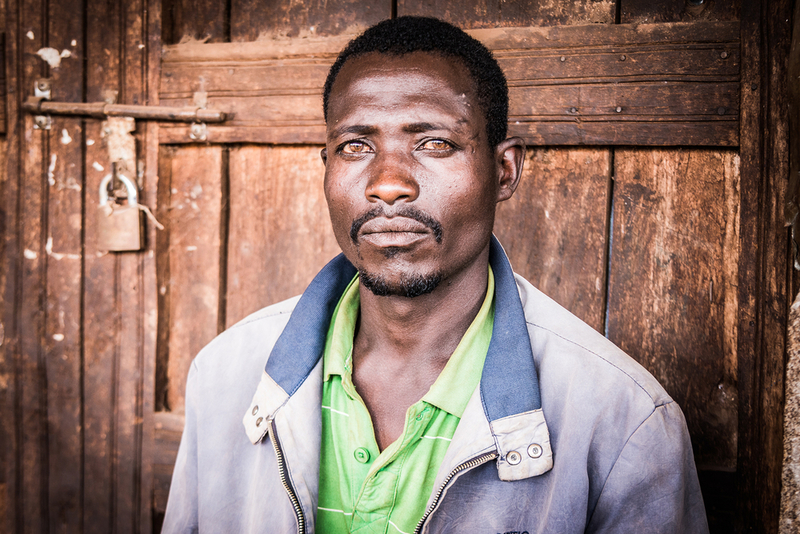 Bekele Worasa, 45, is a coffee farmer and IDP committee leader. 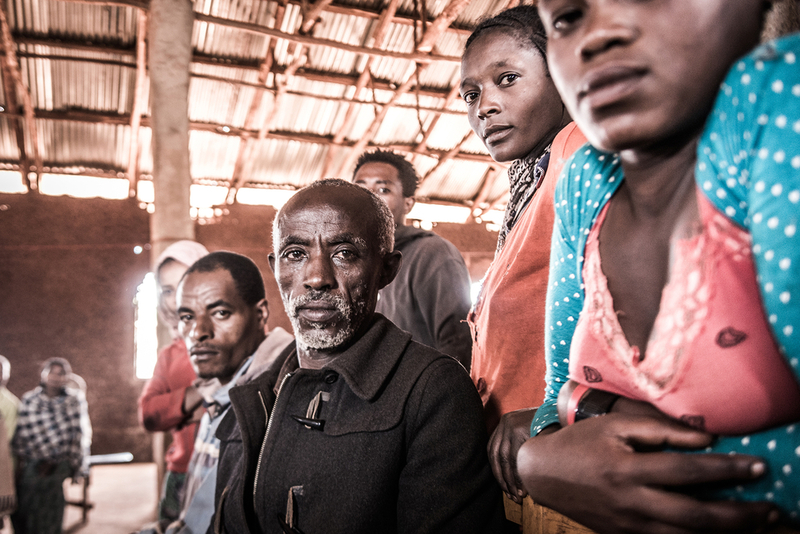 Since December, he has lived in a shelter around the Mekane Yesus Church in Gotiti, together with his wife and 11 children.